At Collis Primary School, we place high importance on the professional development of all staff. It is a process of continuing learning, which takes account of the school’s priorities, national initiatives and the needs and interests of individual members of staff. As a National Support School we have a high level of expertise that we have utilized in planning our current CPD programme. 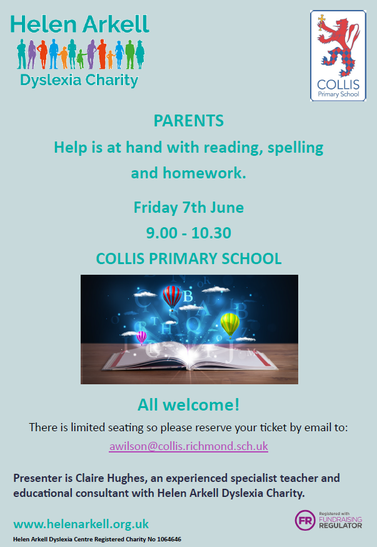 Collis School provides many different training opportunities including school-based training, training provided by external providers, visits to other schools and sharing good practice by working alongside other colleagues. 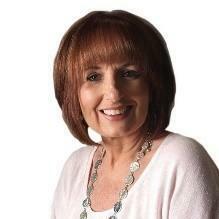 Shirley is one of the best (if not the best) speaker on assessment for learning and what works well in schools. Here’s a cutting-edge psychology workshop of really practical approaches to help you, and your pupils, transform your enjoyment of the classroom (and the rest of your week), focussing on your health, hobbies, relationships, and passion-for-life. As a psychologist, Dr Nick Baylis has spent 20 years exploring the roots of all-round well-being of mind, body & passion for life, and will gladly share the most compelling evidence and ideas for your consideration. Universally relevant and highly applicable for children of all ages, and adults too, a small example of his themes include: how to helpfully channel the energy of your most powerful emotions; how to work in rapport with your sub-conscious; how to befriend your worst fears and build the courage for creative action in Real Life, rather than resorting to screen substitutes. As a practising psychotherapist, Nick lectured The Science of Well-Being at Cambridge University for 8 years. He wrote The Rough Guide to Happiness for Penguin Books and penned 100 weekly columns for The Times newspaper as Dr FeelGood. Dr Sir Anthony Seldon invited Nick to help Wellington College in 2006, and during this past academic year, he has worked with Rugby School. Conference Delegates and their schools will have free access to all of Nick’s ebooks. Nick is a licensed trainer in Mental Health First Aid England courses. He has years of experience working with groups of youngsters with mental health issues and SEND, regularly leading such groups into the countryside for camping, outdoor activities and mental wellbeing. was a front line serving police officer for 17 years, dealing with mental health on the front line every day. In addition, he has an autistic son which brings a very personal element to his passion about raising awareness of this topic. 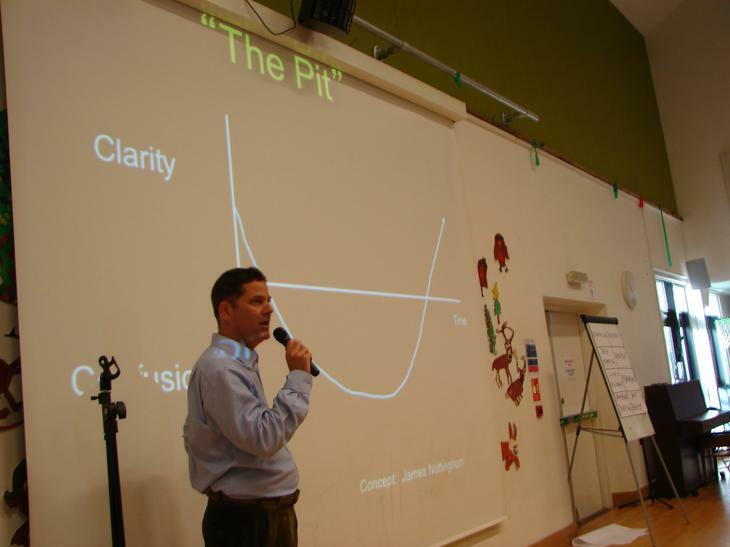 On Tuesday 4th September James Nottingham spoke at Collis on his inspirational work involving The Learning Pit and Challenge Learning. 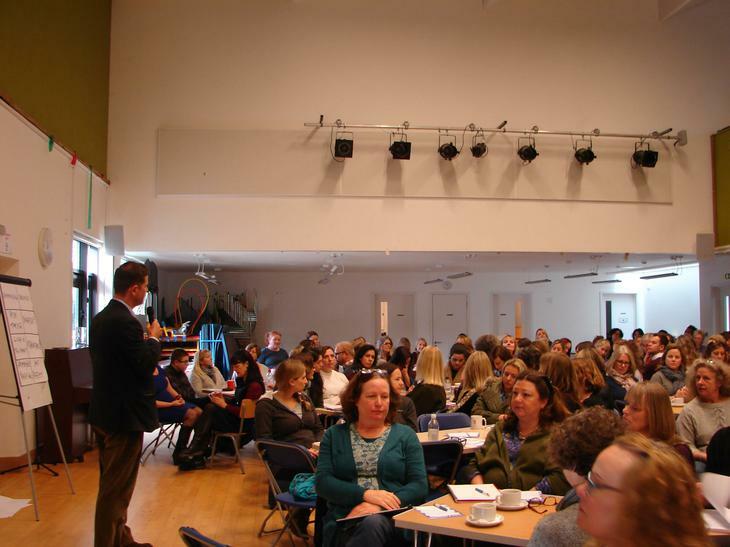 The Collis staff were joined by six other schools for an eventful and thought provoking day. James has been a teacher and leader in schools in the UK, and is now one of the most sought-after speakers in the world of education. His reputation for translating up-to-date research into practical strategies that are proven to work with students between the aged of 5-18 is outstanding. His first book, Challenging Learning has been published in 5 languages and has received widespread critical acclaim. His follow-up book, Encouraging Learning, supports his work with parents and community groups, as well as with teachers and leaders. Currently he is writing a series of books to share the best strategies for feedback, challenge, dialogue, progress and metacognition. 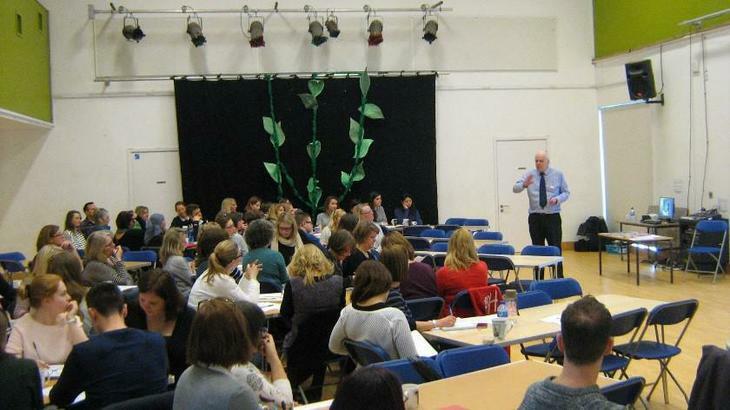 An excellent Conference was held at Collis on the INSET Day (Monday 4th June) for all support staff. It was called Focusing on Best Practice: Enhancing the Use of Teaching Assistants. This was run by Collis and Richmond Teaching School Alliance. Guest Speakers were Dean Beadle, Dr Rob Long and Sally Franklin. Approximately 180 professional support staff attended, from a wide variety of schools, and the feedback was excellent. This session explored team working to understand and support learners with additional needs. 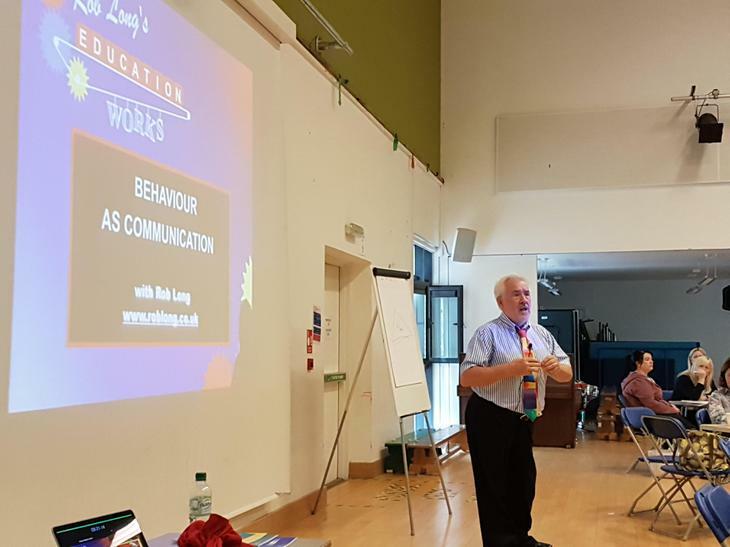 Rob Long is a Chartered Psychologist who works independently offering high quality training in schools and colleges to teachers and other professionals who are concerned with children and young adults. Rob also offers individual advice and support to young people and their families. Rob's main area of interest is supporting children who face emotional and behavioural difficulties. He is committed to developing, through training and project work, an understanding of these children and providing solutions and practical help to school staff involved with them. Currently Rob is working with the National Education Union providing professional development courses in effective classroom management and supporting learners with social, emotional and behavioural difficulties. He has written and had published several books to support the work and training that he provides. All of Rob's books offer teachers and support staff many practical ways to manage difficult situations. Currently high on the government agenda, the MITA project offers a practical guide to enhancing the use of support staff in schools. The session offered an overview of key EEF and research recommendations in relation to TA deployment and focussed on key strategies to maximise practice when working directly with children. There was an opportunity to explore the scaffolding framework and recommendations to improve pupil independence. Dean Beadle has toured the UK for ten years sharing his experiences of life on the autism spectrum. In recent years he has also spoken in Denmark, Belgium, Guernsey and Ireland as well as undertaking four annual seminar tours of Australia and New Zealand. Through his humorous and insightful speeches Dean outlines his positive outlook on his diagnosis. In 2011 Dean's speaking was brought to a wider audience, as a clip of one of his speeches was viewed across the world on YouTube. Sir John spoke for over three hours at Collis on 3rd January inspiring the staff and governors with his wonderful insights and humour. The focus of the talk was centred on the powerful impact teachers have on young people and how learning can make a profound difference in their lives. Sir John was knighted in 2003 for his services to education, he worked most of his professional life in challenging schools across the North West of England, his last post being the head teacher of a large secondary school in Merseyside. His achievements and reputation for straight talking, leadership and creativity led him to be invited onto various organisations, panels and think tanks including the National College for School Leadership, the DfES’ Leadership Development Unit, the Teacher Development Agency’s National Remodelling Unit and visiting posts with both Manchester and Liverpool Universities. It was a truly inspirational day and the best way possible to start 2018. On Tuesday, 5th September Andy Griffith led a thought provoking and practical training day training day for Collis staff. We were joined by two other local primary schools Hampton Wick Infants and Green Lane. 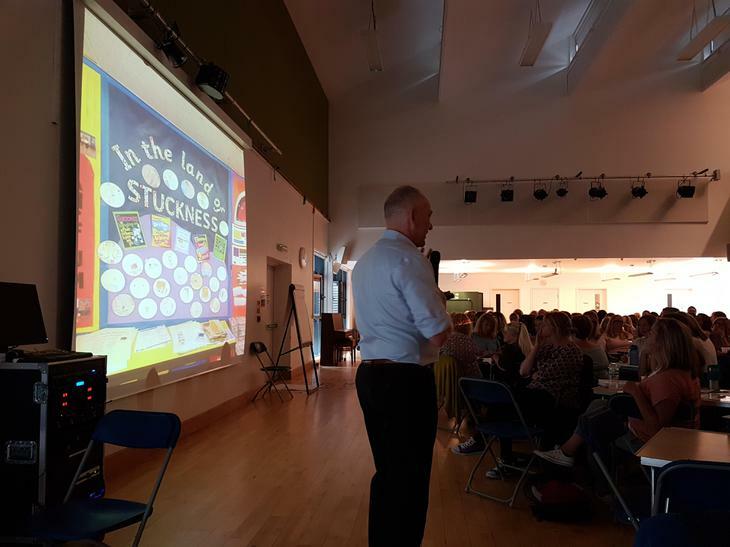 It was a great opportunity for the three schools to work together using the ‘Teaching Backwards’ programme based on Andy’s bestselling book Teaching Backwards. Andy Griffith demonstrated how to plan lessons where the destination or goal is revealed to the children at the outset of the lesson. With this 'backwards' approach teachers not only clarify their high expectations for learning but also ensure children are clear about what success looks like. On Tuesday, 3rd January Will Ord delivered an incredible training day for Collis staff. We were joined by two primary schools Fern Hill (Kingston) and Bishop Gilpin (Merton). It was a great opportunity for the three schools to work together collaboratively and share ideas about how we can motivate and inspire children through different approaches to teaching and learning. Will Ord talked about the following themes: What is a great learner? What skills, attitudes and dispositions do children need to succeed in school & in life? What can teachers do to build great learning in their classrooms? He explored many practical strategies for developing confidence, independence, engagement, risk taking, thinking skills, good dialogue, reflection & memory in both the staff and classroom. 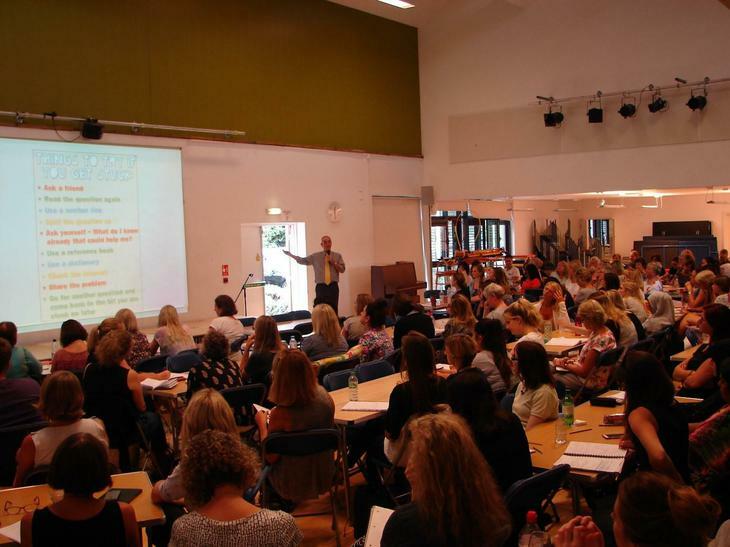 Will Ord has trained teachers in over a thousand primary & secondary schools all over the UK during the last 11 years. He also works abroad and has learned a lot from his training in South Korea, Thailand, Bahrain, Norway, Dubai, Colombia, Mexico, China, America, Ghana, India and Sri Lanka. Will has also given keynote speeches at national and international conferences on many aspects of teaching & learning, school development, and education in the 21st century. On Tuesday, 6th September Guy Claxton delivered a thought provoking training day for Collis staff. We were joined by two primary schools Fern Hill (Kingston) and Bishop Gilpin (Merton). It was a great opportunity for the three schools to work together collaboratively and share ideas about how we can motivate and inspire children through different approaches to teaching and learning. 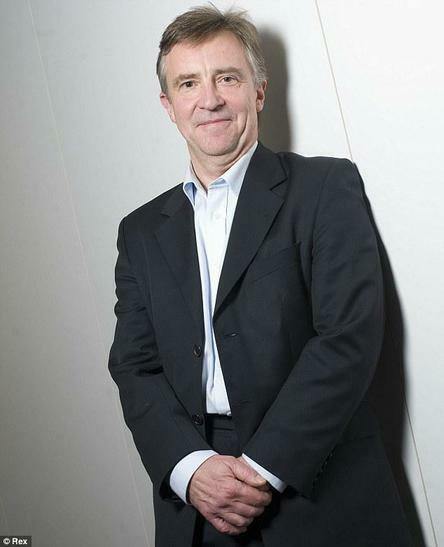 Guy Claxton is Emeritus Professor at Winchester University and a visiting Professor at King’s College London. He is a renowned cognitive scientist who writes and lectures about building positive learning habits and attitudes. The day centered on Guy Claxton’s Building Learning Power. Guy talked about key learning dispositions which enable children to become more confident, independent and thoughtful learners. Children should not be limited by ‘ability’, their capacity to learn should be developed by teaching them how to learn and by nurturing key skills and attitudes. These skills include perseverance, mental agility, resourcefulness, independence and the ability to apply learning. John McCarthy provided an inspirational talk for staff and associates of the school on 23rd February 2016. As one of our parents, we are used to seeing John on a day-to-day basis at drop-off time or at school events. This is a far cry from his experiences between April 1986 and August 1991 when John endured nearly two thousand days in captivity, after being taken hostage in the Lebanon. John told the story of how he was captured and the long difficult years he spent, initially, in solitary confinement and, subsequently, sharing a cell with Brian Keenan. The experiences and the conditions they suffered were desperate but, out of this, a strong friendship and support for one another emerged. Humour played a large part in helping them to survive times when the future seemed hopeless. When asked how he got through over five years in captivity, John simply says that he, 'Just survived'. However, his courage and determination seemed extraordinary to the audience. There are many lessons about relationships, strengthen and the human spirit that we took away from this moving talk and will remember for a long time to come. Steve Bowkett led an excellent training day at Collis on 4th January 2016. Staff from Fern Hill Primary School in Kingston joined us for the day. This provided an opportunity for both schools to share ideas and experiences. Steve Bowkett taught English in Leicestershire for 18 years. He is now a full time writer, storyteller and education consultant. His particular interest is in using cognitive thinking skills and encouraging children to use and develop their imaginations. The day was packed with ideas. A range of writing games designed to motivate children to write was explored. Activities involving wordplay developed children’s love of language, including how to use nonsense words creatively. The importance of developing children’s observational skills and encouraging them to notice details was also highlighted. Staff from both schools came away from the day inspired with many different ideas for developing children’s writing.